About - Royal Automotive, LLC. Established in 1987. Founded in 1987, Mr. Kap Shin opened up a small auto body shop in the upper northeast Chicago community to support their (at the time) three children. After word got out about Royal's quality work and great service, more and more vehicle owners sought after Mr. Shin's body shop which grew the shop to it's next location near Northpark University in 1989.  Royal Automotive is one of Chicago's finest collision, glass and auto repair shops. Specializing in accident repair, we bring your car to its pre-accident condition and BETTER. A FREE interior and exterior detailing is included on all collision jobs. From a technical standpoint, Royal Auto Body is equipped with the most up-to-date equipment. Some examples are: a 150-degree dust-free paint booth, computerized frame alignment machine, and a computerized 100% color-matching system. Our technicians are also experienced in the I/M 240 emission test and OBDII diagnostics. So, as you can see, we offer a full line of services at our facility. Once you have had the experience at Royal Automotive, you will see why you would want to become a lifetime-customer.